U.S. Defense Secretary Jim was speaking as Russian President Vladimir Putin was due to hold talks in Istanbul with the leaders of France, Germany and Turkey on Saturday. 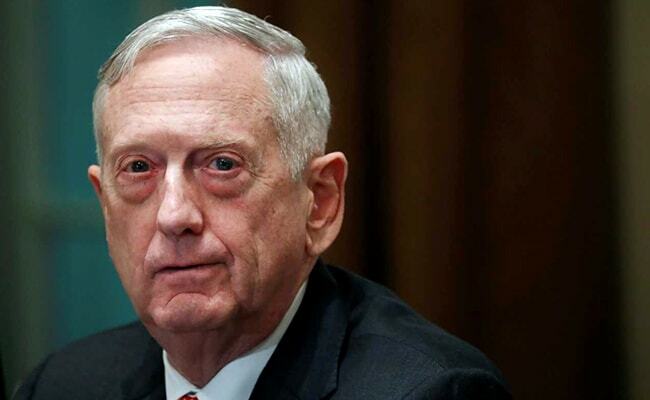 Pentagon chief Jim Mattis told Arab leaders on Saturday that Russia is no replacement for the United States in the Middle East following Moscow's military intervention in Syria. "Russia's presence in the region cannot replace the longstanding, enduring, and transparent US commitment to the Middle East," Mattis told a meeting in the Bahraini capital Manama. He was speaking as Russian President Vladimir Putin was due to hold talks in Istanbul with the leaders of France, Germany and Turkey on Saturday seeking to find a lasting political solution to the seven-year civil war in Syria. Russia supports the regime of Syrian President Bashar al-Assad, while Turkey backs the rebels seeking to oust the Syrian leader. Mattis told the IISS Manama Dialogue that Moscow's "opportunism and willingness to overlook Assad's criminal activities against his own people evidences its lack of sincere commitment to essential moral principles." He said Iran's support for the Syrian regime "coupled with Russia's repeated vetoes of UN Security Council Resolutions, is the leading reason Assad remains in power." Turkish President Recep Tayyip Erdogan was to host Putin, French President Emmanuel Macron and German Chancellor Angela Merkel for the summit on the conflict, in which more than 360,000 people have been killed since 2011. Saturday's summit will be the first to bring together the Turkish and Russian leaders with the European Union's two most significant national leaders.